Monotype is one of the most accessible forms of printmaking, used by famous artists including Degas and Picasso. You will quickly be able to create bold, expressive images that combine the strengths of printmaking together with the spontaneity of painting and drawing. 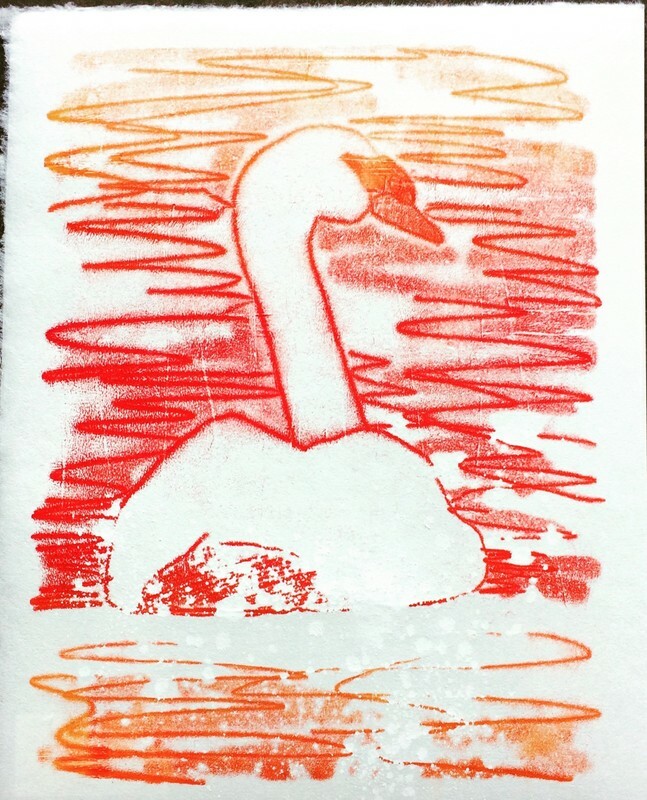 We’ll also explore using paper stencils, chalk dust and other unexpected tools and materials to create unique, one-off printed images. Explore using a variety of mark-making techniques and unusual materials for creating prints. Box/packet of latex gloves (to keep your hands clean when you’re inking up and printing). Baby wipes are also useful. Please feel free to bring your own ink and Japanese printing paper if you have some printmaking experience already and have certain materials you like working with.